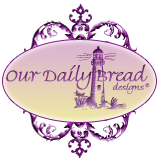 Happy Saturday, everyone! 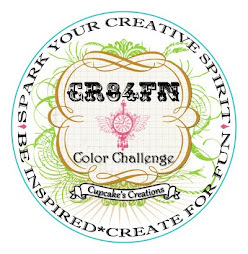 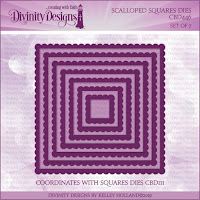 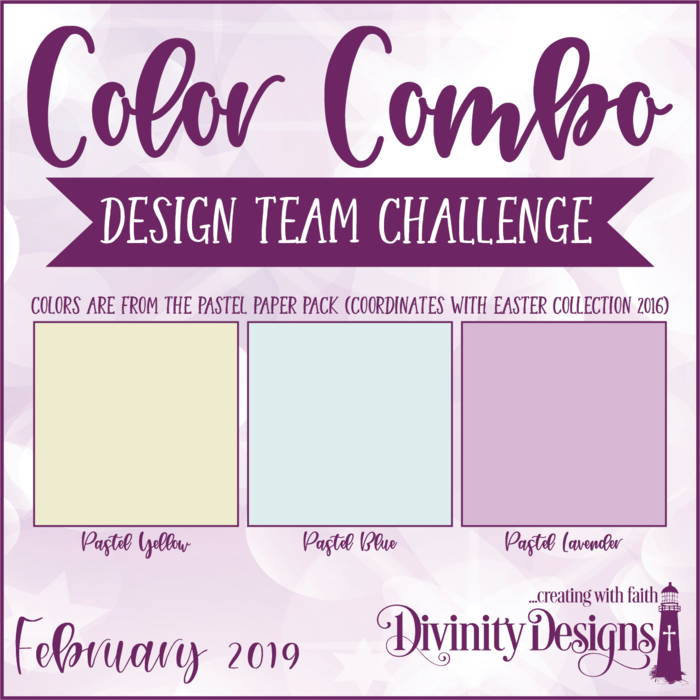 Divinity Designs is hosting another Color Combo Challenge feature over on the Divinity Designs Blog today. We're using spring time pastels this week and hope you will be inspired by the projects and the colors. 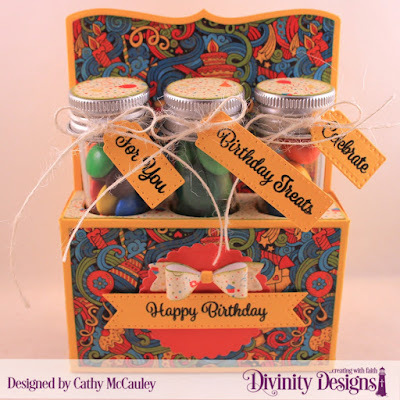 I have chosen to use the Hoppy Birthday stamp set for my sample. 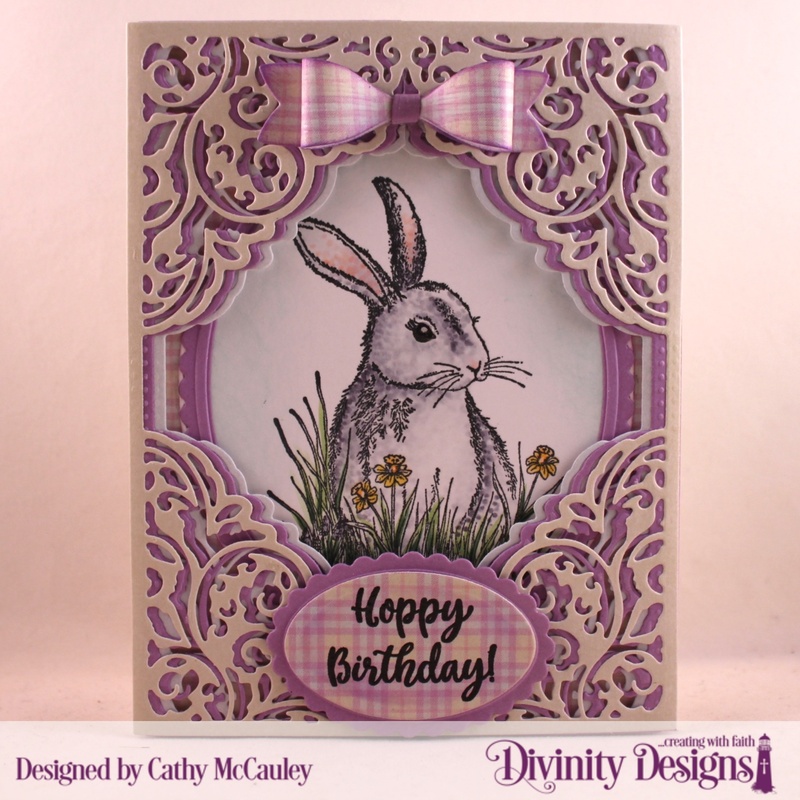 Creative Nugget: Stamped and colored the bunny from the Hoppy Birthday stamp set with Copic Markers. 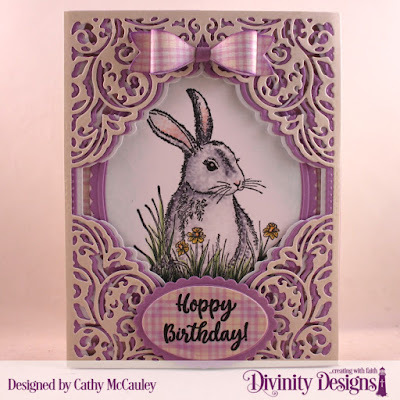 Cut a frame for the bunny with Ovals and Scalloped Oval Dies and mounted it over the image. This panel was layered over paper from the Pastels Paper Pack. 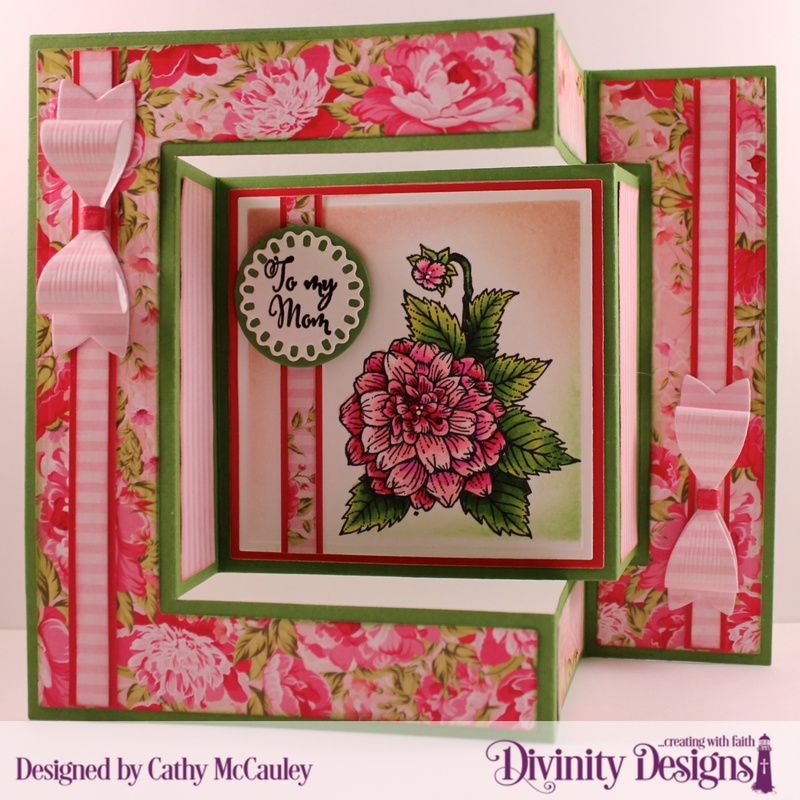 The Lacey Corners Die was used to cut three coordinating pastel papers from the same pack. 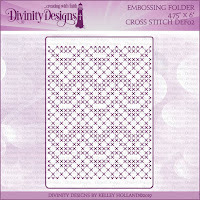 Two of these die cuts were cut down the middle and a slight bit was cut from the inside edge of each piece. 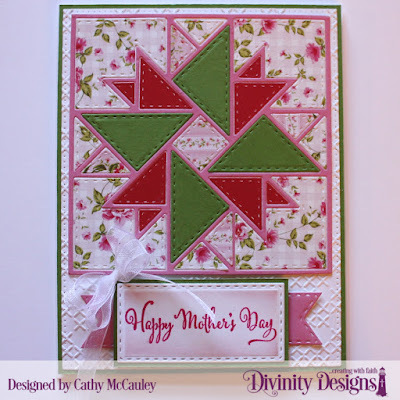 This made it possible to layer the pieces over the entire card front with the uncut panel on top. 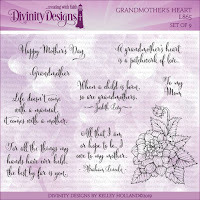 The sentiment was embossed on paper from the Pastels Paper Pack, cut with an Oval Die and mounted onto a Scalloped Oval. 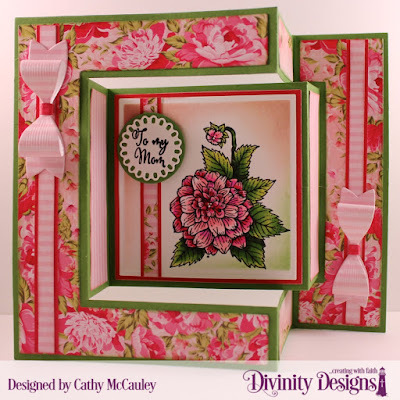 The Small Bow Die was used to cut a bow from coordinating papers to finish the card. 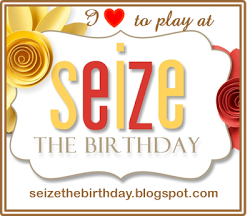 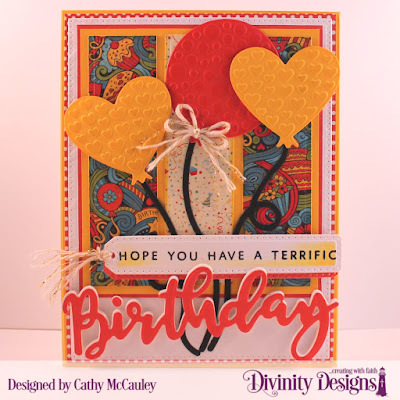 I can never have too many Birthday cards on hand and while seasonal cards are fun to do...birthday cards are needed all year long! 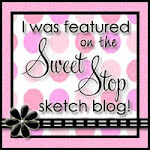 Thanks so much for stopping by. 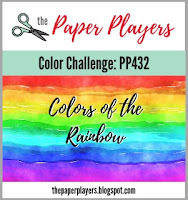 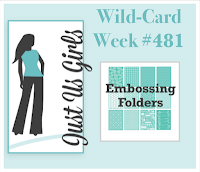 Be sure to hop on over to the Divinity Designs Blog to check out the other Color Challenge projects created by the Divinity Divas! 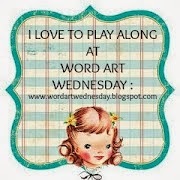 Happy Friday, sweet friends! 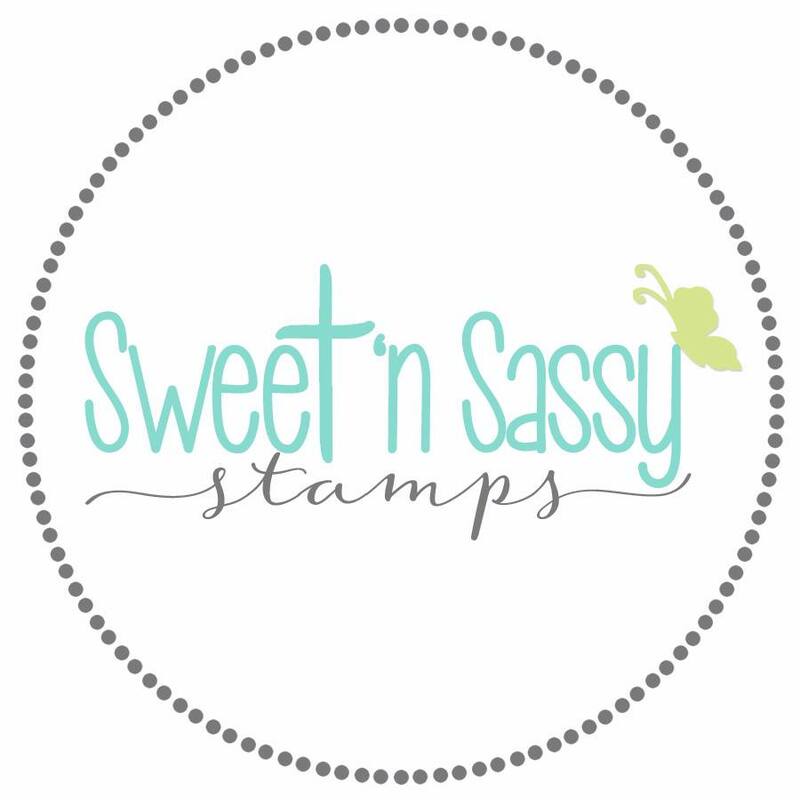 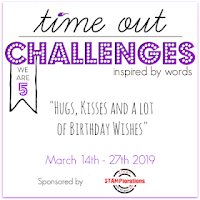 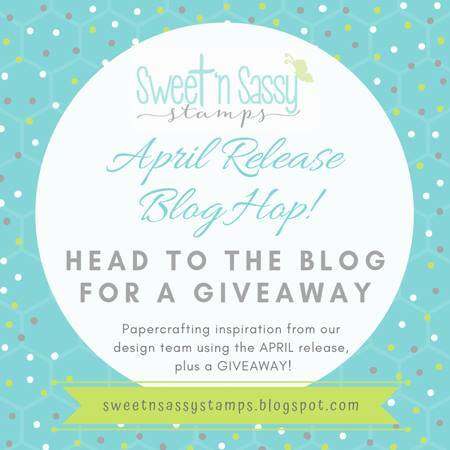 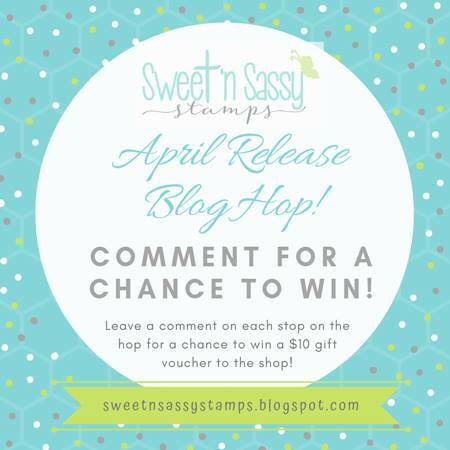 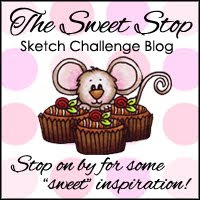 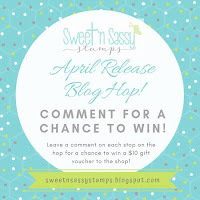 I'm sharing a couple of cards on the Sweet 'n Sassy Stamps Blog and here today using some of the products from the Sweet 'n Sassy Stamps February release. 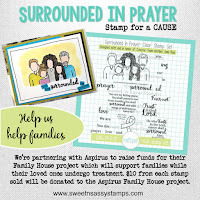 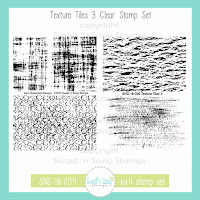 Creative Nugget: A background was created with Distress inks and the grid stamp from the Texture Tiles 1 stamp set. 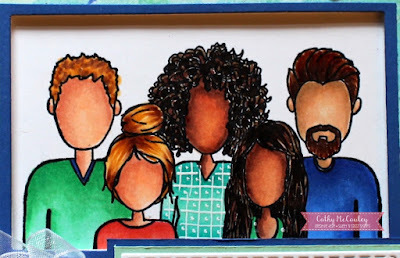 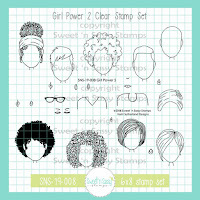 The girls from the Girl Power 2 stamp set were colored with Copic Markers and cut out to add to the card. 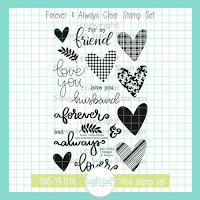 The split sentiment and the tea cup are from a stamp set currently out of stock called Special Blend and the heart is from the Forever & Always stamp set. I think you'll agree...nothing warms the heart like some special girl time! 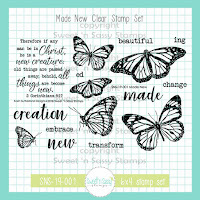 Creative Nugget: My second card uses the butterflies and sentiment from the Made New stamp set which happens to be the Stamp of the Month for the month of February and is free with a $75 purchase. 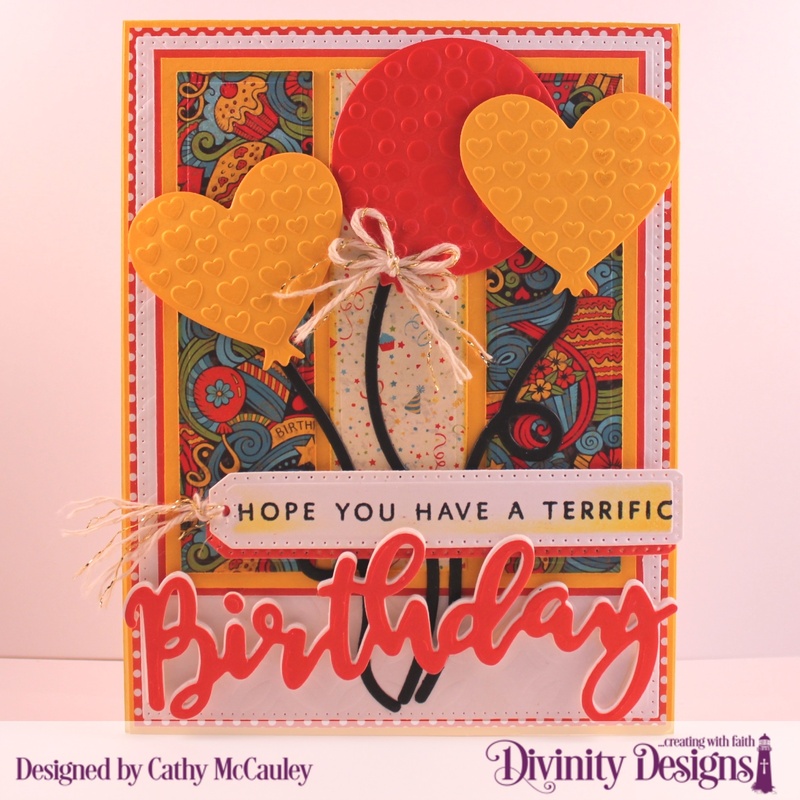 The background for this card was made using the Tissue Paper Bokeh Technique which can be found HERE. 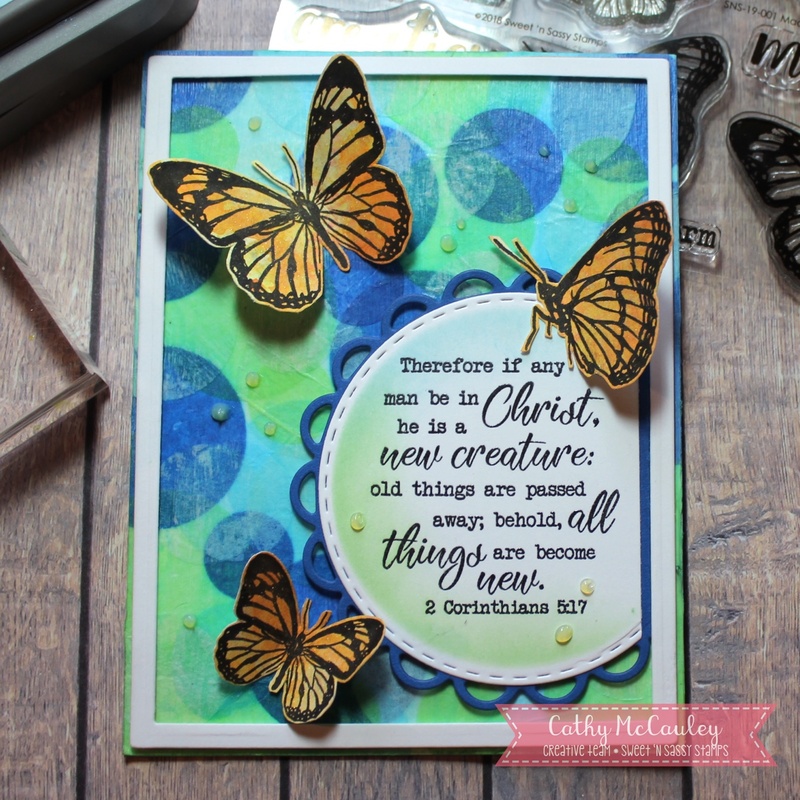 The butterflies were stamped on a Distress Ink background from my stash, fussy cut and popped up onto the card. Some Nuvo Drops were added to finish the card. 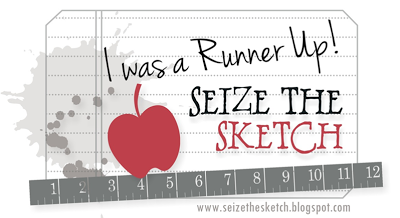 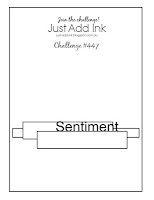 Stinkin' Inkers Challenge Blog - "Baby, It's Cold Outside"
Thanks so much for stopping by. 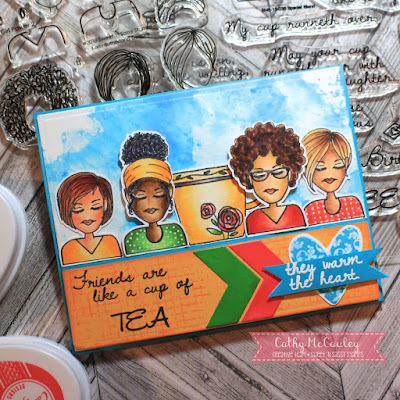 May your heart be warmed not only by spending time with some special friends, but by the love of the Lord and His promise of new life in Him! 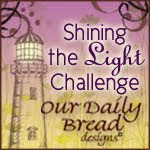 Good morning, friends...happy Friday! Today we are taking another look at the Divinity Designs February 2019 Release. 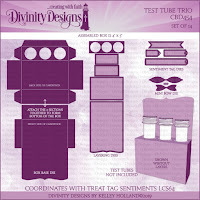 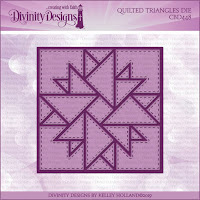 I was able to use some of the new Divinity Designs products to get some cards finished for Easter. 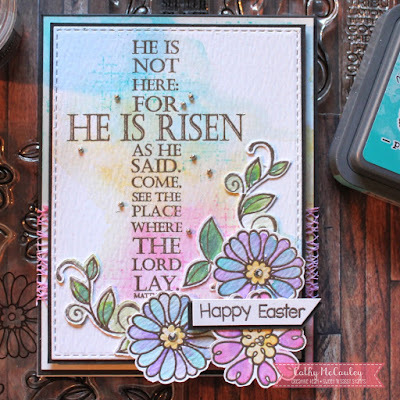 My first sample use the new Glorious Easter stamp set. 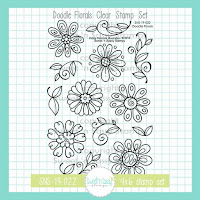 Creative Nugget: The Lattice Background Die was used to cut a panel to place over paper from the Spring Flowers Collection. 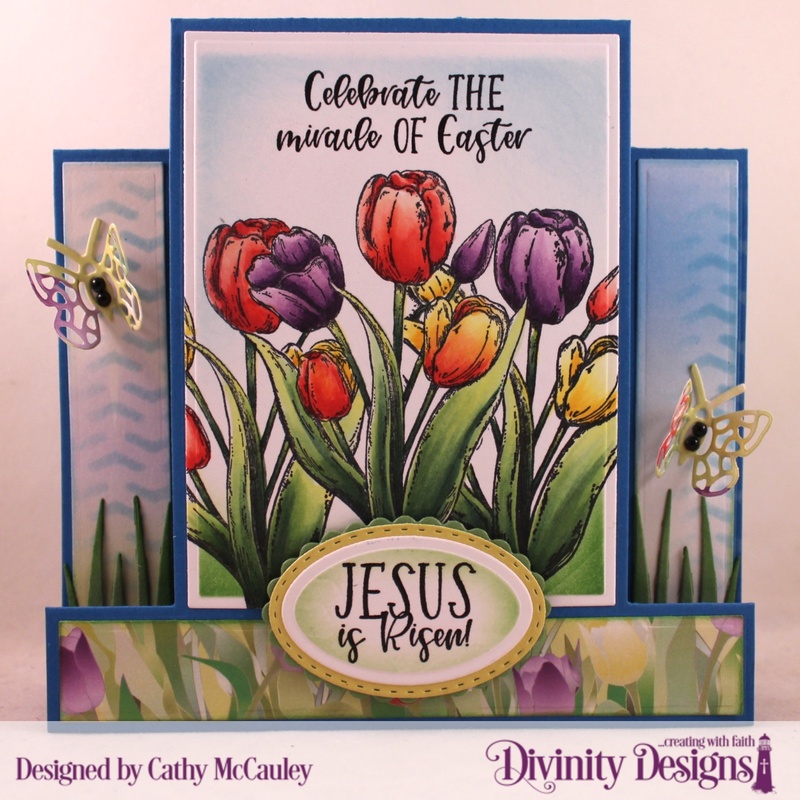 The tulips from the Glorious Easter stamp set were masked and stamped several times across the center panel and then colored with Copic Markers. The center panel was stitched to the background and the bow and sentiment were added to finish the card. 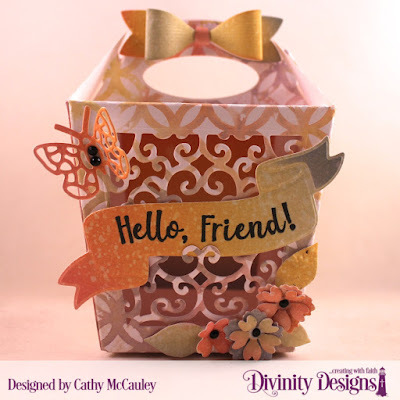 Other dies used to create the layers include the Scalloped Rectangles, Scalloped Ovals, Ovals, and Bitty Butterflies. 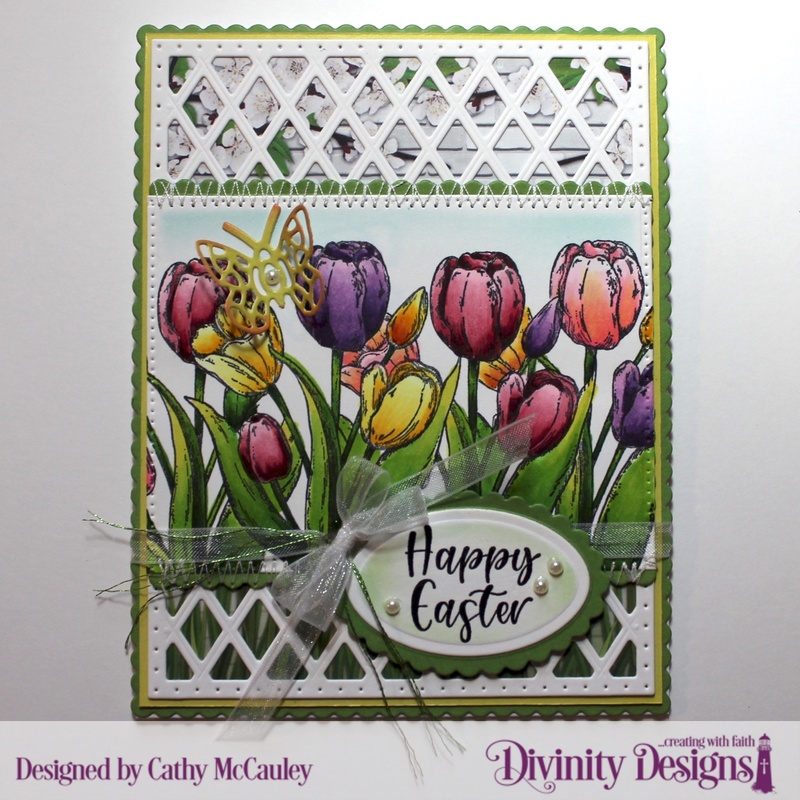 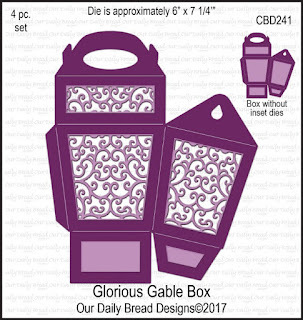 Glorious Easter was used to create a similar center step card. 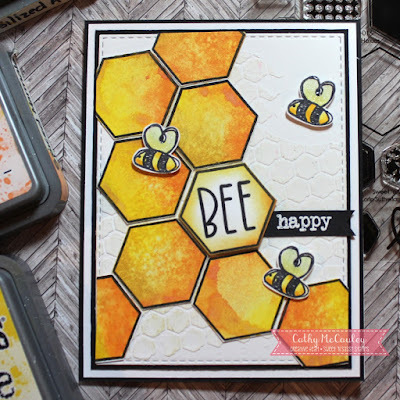 Creative Nugget: The Center Step Card Die was use to make the base for my card and the Center Step Layers Dies were used to cut the layers from paper from the Spring Flowers Collection. 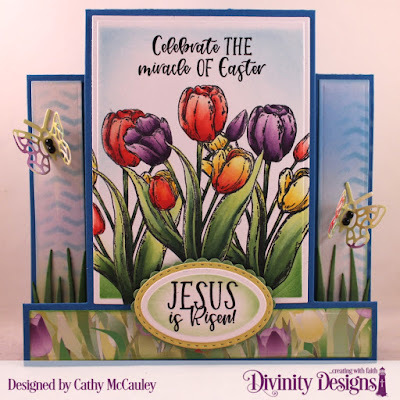 The tulip stamp from the Glorious Easter stamp set was stamped, masked and stamped twice more across the center panel. 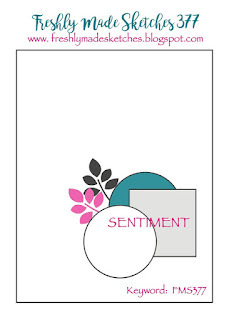 Copic Markers were used to color the tulips. 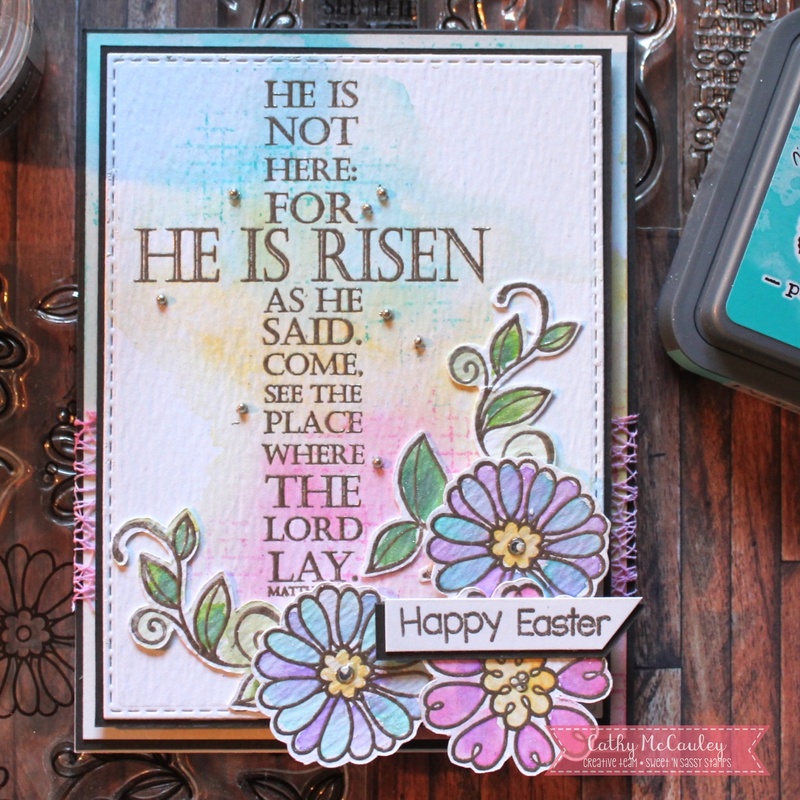 Two sentiments from the Miracle of Easter stamp set were embossed and one was cut with an Oval Die and layered onto Double Stitched Oval and Scalloped Oval die cuts. 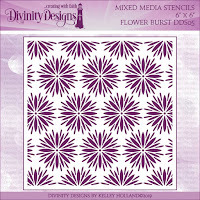 Paper from the Spring Flowers Collection was cut with a Bitty Butterfly Die. 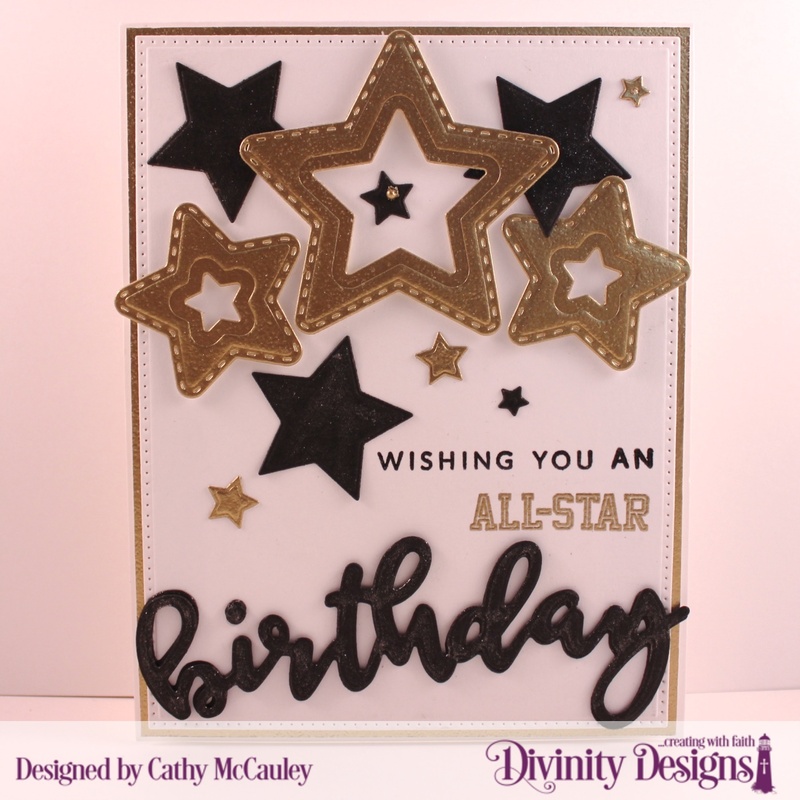 The butterflies were added to the card along with several black pearls to finish the card. 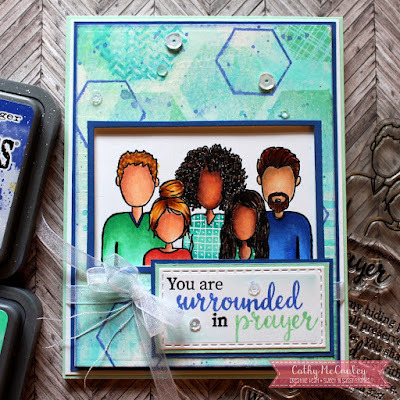 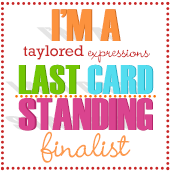 The John 3:16 stamp was used as the focal image for my final card. 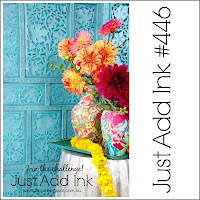 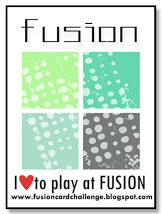 Creative Nugget: Green and yellow inks were sponged on a panel which was then cut with the Lattice Background Die. 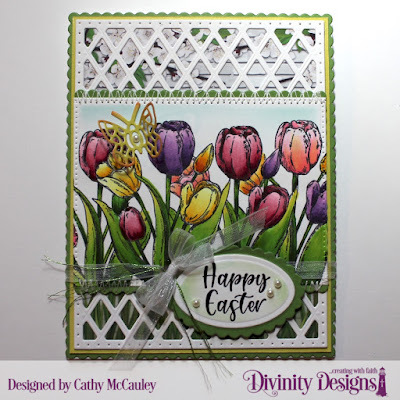 This was placed over paper from the Spring Flowers Collection and mounted to a Scalloped Rectangle to make the card front. 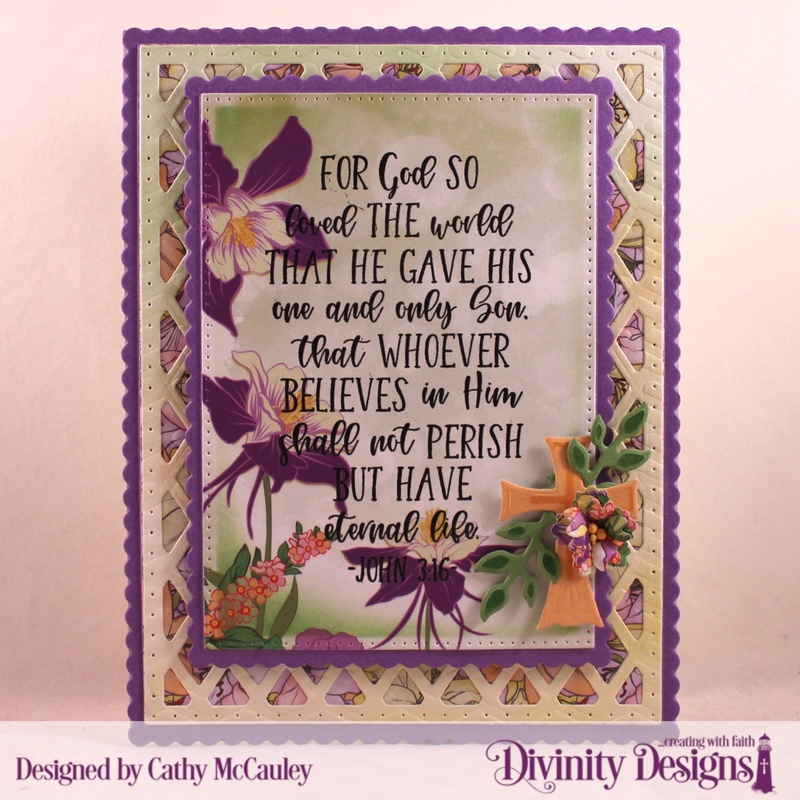 The John 3:16 verse was embossed on coordinating paper from the Spring Flowers Collection and mounted to a Scalloped Rectangle which was centered on the card front. 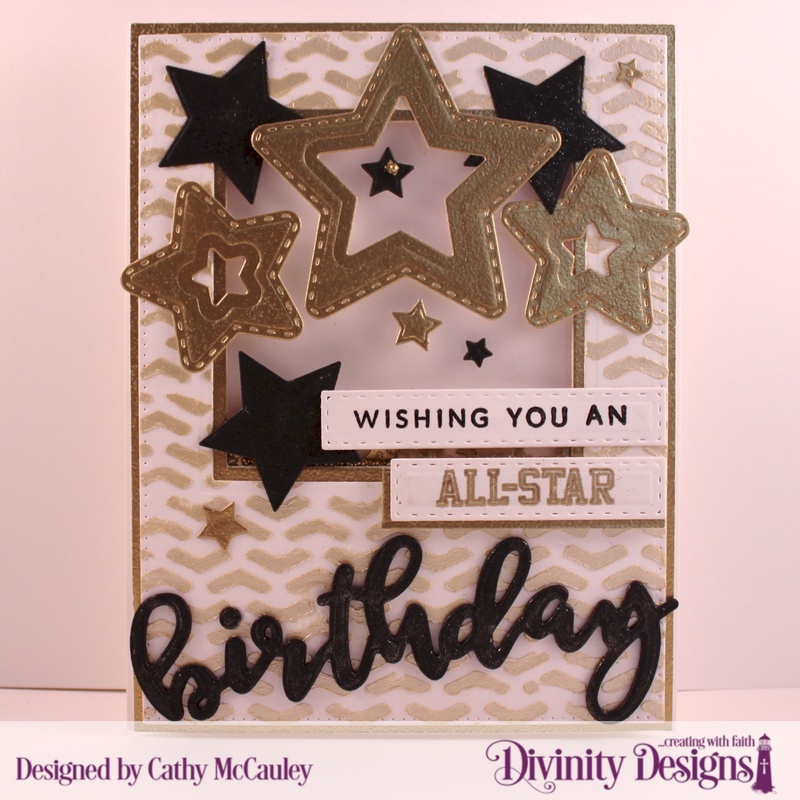 A cross cut from one of the dies included with the Cross Embossing Folder was added to the card along with foliage cut with dies from the Festive Favors Dies. Be sure to check out the Divinity Designs Blog to see more beautiful samples created by the Divinity Divas using products from the February Release!